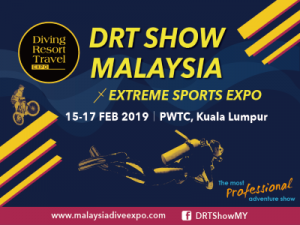 The Malaysia International Dive Expo (MIDE) showcases products like Malaysia Tourism agencies, local dive resorts and dive operators, dive schools and boat manufacturers who will be joined by a number of international dive industry players from all over the world etc. MIDE is the premier show that is designed to build a high-end exhibition platform to expand the dive market. The show is also the meeting place for dive business where decision makers meet for trade networking with industry players. MIDE 2018 will showcase over 2000 exhibitors and will occupy space of 12,000 sqm. Approximately 10,000 visitors are expected to throng the line to visit and trade with exhibitors. Projected more than 2,000 trade delegates to visit this biggest dive show in Malaysia. The show also attracts visitors from 50 countries to the show yearly. MIDE has grown from strength to strength over the years and contributes towards a vibrant scuba diving industry in Malaysia with international recognition. 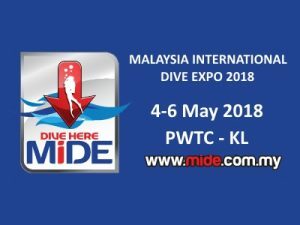 MIDE is a one stop center to bring Visitors, Trade Visitors, Exhibitors and Delegates for business opportunity, dive education, new development in diving technology and innovation that caters for all Divers to broaden the scope of recreational scuba diving and to give dive professionalism a boost. So make MIDE 2018 all the reason to attend or participate. Make your products and services known through MIDE that will give you the leverage through its massive advertising and promotion. The amazing-est Animation, Comics and Games event is back for it’s craziest year yet! Comic Fiesta is one of Southeast Asia’s largest and longest-running animation, comics and games (ACG) event. We gather tens of thousands of comic artists, illustrators, cosplayers and fans of the culture every year. 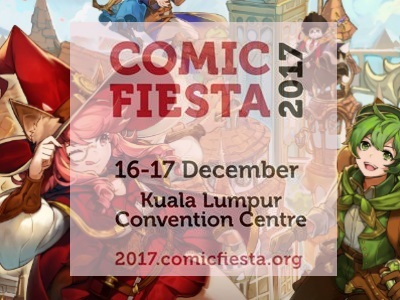 Comic Fiesta 2017 is set to be its craziest and greatest one yet! BookFest @ Malaysia, incepted in 2006, continues its lifelong mission of inculcating the love of reading amongst Malaysians! Co-organised with Sin Chew Media Corporation Berhad, this fair was recognised in 2016 by the Malaysia Book of Records as the largest trilingual book exposition in the country, and is hence a must-go event for bibliophiles within and beyond Malaysia. Malaysia’s largest book exposition hosts more than 700 booths featuring leading publishers, books and stationery distributors from countries such as China, Hong Kong, Taiwan, United Kingdom, USA, Canada, Belgium, Australia, Singapore and Malaysia. Visitors to BookFest @ Malaysia will be treated to millions of books from the latest and best collections of Chinese, English and Malay titles located at both the Chinese and English Pavilions. At the same time, this event also offers a diverse assortment of the latest stationery, audio-visual products, gadgets and IT products and many more, at the Lifestyle Pavilion. What’s more, BookFest also serves as a platform for both local and international authors to present their written works to audiences. The annual book exposition occupies one of Malaysia’s most prestigious “state-of-the-art” Meetings, Incentives, Conventions and Exhibitions (MICE) sites; the Kuala Lumpur Convention Centre (KLCC). Since BookFest’s establishment in 2006, it has occupied an exhibition space of 100,000 square feet encompassing Hall 1 to Hall 5 at the Ground Floor Level. In 2011, POPULAR Malaysia, as the organiser, increased the exhibition space from 100,000 square feet to 125,000 square feet with the introduction of the Lifestyle Pavilion located at the Grand Ballroom of Level 3. The Lifestyle Pavilion meanwhile showcases a diverse genre of the latest stationery, music, gadgets and IT products in the market. Overwhelming reception from the public saw the Lifestyle Pavilion expanded yet again with an addition of another 8,000 square feet (Banquet Hall) to accommodate an even wider range of products. This year’s BookFest @ Malaysia 2017 will retain its generous event space of 133,000 square feet in total, comprising of Halls 1 to 5, and the Grand Ballroom and Banquet Hall at Level 3. 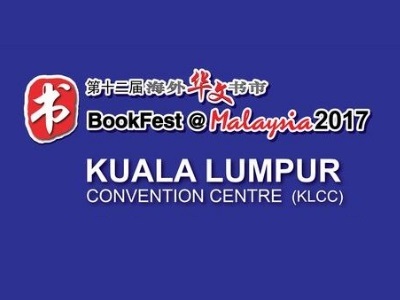 BookFest @ Malaysia will take place over a 9-day period, stretching over 2 weekends (2 Saturdays & 2 Sundays). Visitors can also look forward to many fun-filled, exciting activities such as performances, contests as well as meet-the-author sessions peppered throughout the exhibition days. These events and activities cater to both visitors from all walks of life. Put simply, there’s something of everything for everyone at BookFest @ Malaysia! The growing number of visitors to BookFest year after year is a testament of the public’s support of this book expo. In its inaugural year, BookFest saw 320,000 visitors step into its halls, and welcomed an overwhelming crowd of 400,000 in 2007. In 2008, the annual event proved to be even more successful with 450,000 visitors. In 2009, despite the Influenza H1N1 pandemic, BookFest still recorded an astonishing 420,000 visitors; a positive sign of the unabated passion for reading among Malaysians. Then in 2010, BookFest saw a big leap in its visitorship with a record of 600,000 visitors while 2011 and 2012 went beyond the mark of 680,000 visitors. In 2013, BookFest received a total of 710,000 visitors and in 2014, welcomed a record-breaking figure of 715,000 visitors. For 2016, BookFest welcomed over 680,000 visitors. The exhibition showcases the latest books published in China, Hong Kong, Taiwan, United Kingdom, USA, Canada, Belgium, Australia, Singapore and Malaysia. BookFest @ Malaysia 2017 officially runs from 24 June to 2 July 2017, where visitors can visit Hall 1 to 5 (English and Chinese Pavilion) for an assortment of English and Chinese Books. The Lifestyle Pavilion, located at the Grand Ballroom & Banquet Hall of Level 3, features a spectrum of Stationery, Gadgets & IT as well as the all new Titbit Carnival. The exhibition will open from 10am to 10pm daily. Admission is RM2.50 per ticket, with free admission given to students 18 years old and below and senior citizens 60 years old and above. The Chinese and English Pavilion will fully occupy the 5 adjoining halls at Ground Floor. The Grand Ballroom and the Banquet Hall at Level 3 of Kuala Lumpur Convention Centre will host the Lifestyle Pavilion. This layout allow for the ideal visitor flow, whilst ensuring a strong cultural theme. New programs are introduced from time to time to add value the festival. From year 2010, the organisers introduced the KLPF Photo-creator of the Year Award, a biennial event to recognise and promote emerging photographers from Malaysia. Since 2012, the travel section is given more prominence with dedication to travel, that is, the (FITE) Free Independent Travel Exchange. Packed with interactive programs, the FITE is the platform for travel industry operators/organizations to engage with travellers.The first KLPF was held on 14-November 1997 and has since become an annual event to look forward to. The KLPF & FITE is open to the public and admission is free. The 19th edition of the Kuala Lumpur Photography Festival 2015 drew an amazing crowd of more than 79K visitors to the 3-day festival held on 09-11 October at the Mid Valley Exhibition Centre. The KLPF 2015 was a roaring success with more than RM1.5 million sales transacted over the 3-day event. The opening ceremony of the KLPF 2015 was officiated by YB Elizabeth Wong, the Selangor State Exco for Tourism, Environment, Green Technology and Consumer Affairs; who is also an avid photographer. Joining her on stage to drum up the festival were Paul Ho (Fujifilm Malaysia Senior Director); Mitsuhiro Tanaka (Olympus Malaysia Business Development Manager); Dickson Lee (Epson Malaysia Senior Manager); Puan Noorul Ashikin (Tourism Selangor General Manager); Ahmad Mad-Adam (Tourism Authority of Thailand Director); David Tsao (Taiwan Tourism Bureau Director); See Tho Chee Seong (Photobook Malaysia Business Development VP) and Kim Teoh (Founder of KLPF). The opening of KLPF 2015 was drummed to a roaring start with the spectacular performance by Hands Percussion. The main theme exhibition of the year was “Smile to the World” which received submissions from photographers 10 countries with a mission to make the world a better place. The invitational photo exhibition “Spirit of IndoChina” depicts the scenes of travels in the IndoChina region, encountering the history, legends, rustic charms and warmth of the people. In conjunction with the launching of PCP’s new book title “Defying the Mystics. The epic journey on-board Trans-Siberian Railway”; the contributing photographers also exhibited their artwork created in this challenging the mystics of this century old railway route. “KLPF International Photography Dialogue” takes centre stage this year with the 2nd session on “KL As I See It – Kampung Baru the last village in central KL”. Jamason Chen (USA), Dr. Oh Soonhwa (Korea), Dr. Alex Wong (Malaysia/Turkey), Wang Chih-Hong (Taiwan) and Yang ZiXiong (Malaysia) – the five international photographers who individually specialise in different genres presented their impression of this unique village through their eyes. It was a very impressive insight and interesting discussion on an international level. The KLPF Photo Review session was a great opportunity for emerging photographers to have their work reviewed by experts in this industry like Jamason Chen, Dr. Oh Soonhwa and Dr. Alex Wong. This year also saw an increase in participation by various secondary schools (local and international) as the KLPF aims to motivate and nurture our youths to pursue photography as a living skill or as a career. Participating in the Free Independent Travel Exchange (FITE) program are the Tourism Authority of Thailand, Taiwan Tourism Bureau, Sabah Tourism, Tourism Selangor and various tourism industry operators from Indonesia, Thailand and Malaysia were actively promoting travels as the partner of photography. Travelmania and Photomania – the seminars and presentations have remained the favourite programs sharing knowledge and experiences with photographers and travellers. The final round of the KLPF Model Shoot Challenge League saw 10 finalist photographers compete against one another to be the champion. The shortlisted photographers had to shoot and submit a total of 12 images based on 4 topics. The prestigious title of league champion was awarded to Hamlito A. Nocete from Ipoh. 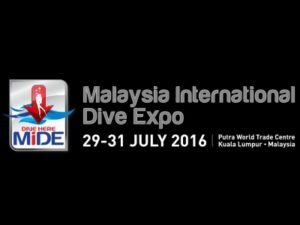 Malaysia International Dive Expo (MIDE) 2016 is the 11th edition of its maiden voyage since 2006. 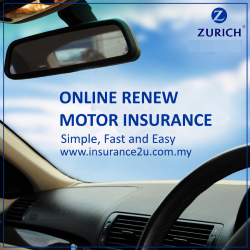 The Expo is scheduled from 29 to 31 July 2016 at Putra World Trade Centre, Kuala Lumpur. MIDE 2016 will showcase 250 booths and will occupy space of 8,500 sqm. Approximately 15,000 visitors are expected to throng the line to visit and trade with exhibitors. Projected more than 2,000 trade delegates to visit this biggest dive show in Malaysia. The show also attracts visitors from 50 countries to the show yearly. MIDE together with Asia Dive Conference (ADCON) is a one stop center to bring Visitors, Trade Visitors, Exhibitors and Delegates for business opportunity, dive education, new development in diving technology and innovation that caters for all Divers to broaden the scope of recreational scuba diving and to give dive professionalism a boost. So make MIDE 2016 all the reason to attend or participate. Make your products and services known through MIDE that will give you the leverage through its massive advertising and promotion.